The Bon Viveur guesthouse offers impeccable hospitality and great value in one of the loveliest locations in Jersey, right on the harbourside in St Aubin’s village. The restaurant is a firm favourite with visitors and islanders alike serving traditional Italian cuisine every evening. There are 19 rooms, situated on the 1st and 2nd floors above the restaurant, all en-suite and many with sea views. All are equipped with a television and coffee & tea making facilities. 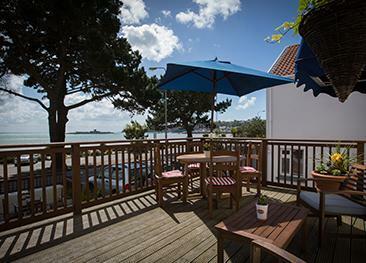 The Bon Viveur Restaurant is a prominent feature of St Aubin's village with a wooden deck overlooking the harbour. The immaculately dressed staff are waiting for your custom! The Bon Viveur is nestled amongst other restaurants, pubs, bars and shops and is on a brilliant bus route to and from St Helier and many attractions around the island. The Bon Viveur isn't suitable for disabled visitors.As the staircases are quite steep it is also not ideal for those with limited mobility. Very friendly staff and the food was very good. Room probably needs a bit of a makeover but it was warm and comfortable. Staff very helpful, polite and responsive. Very clean and rooms serviced well. Rather tight on morning tea supplies. Stairs a bit dark but each section lit separately on demand. Spoke to management about this. En suite basic obviousely added fairly recently as wash basin in bedroom. Fan very noisy. The location of this guesthouse was excellent, but the cleanliness of the room could have been better. The pillows smelt fusty as though they had not been changed. The carpet was stained. Courteous and efficient staff, lovely location, good atmosphere. It served us well, clean, comfortable. Stairs may be too much for elderly people. Room okay unfortunately it was noisy due to male adults in the next room. The Harbour View Guest House is one of Jersey’s best kept secrets! 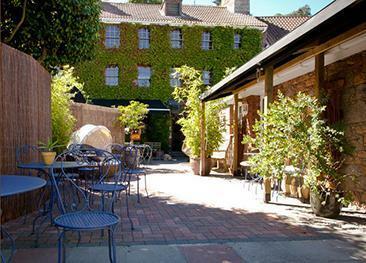 A little gem right in the heart of the picturesque St. Aubin's village with a paved yet green outdoor area. The Lyndhurst is a welcoming guest house beautifully positioned just across the road from the long and sandy St Aubin’s bay.